Back with another healthy recipe today! Remember when we went to San Diego this past fall and I fell in love with acai bowls?! Well, ever since we got back the struggle of not having any places that sell them here has been very real. ;) Not only are they one of the most delicious breakfast foods out there, but acai is know for it's insane antioxidant levels, healthy fats, iron, calcium, and beta-carotene. A place here finally opened last month that sells them, but I quickly realized that it might be cheaper for me to make them myself due to how often I really crave them and want them for breakfast! These bowls are packed with nutrients, are so delicious, and actually very easy to make. A winning combination in my book! If you have ten minutes, you can put one of these together and make your stomach very happy. Blend all ingredients together until thick and creamy. I used a food processor for this, but you can use a blender or Vitamix. If you use a blender, you may have to scrape the sides/mix it up a couple times. The frozen fruit helps give a better texture and you don't want to blend it too long because you still want it to be thick. 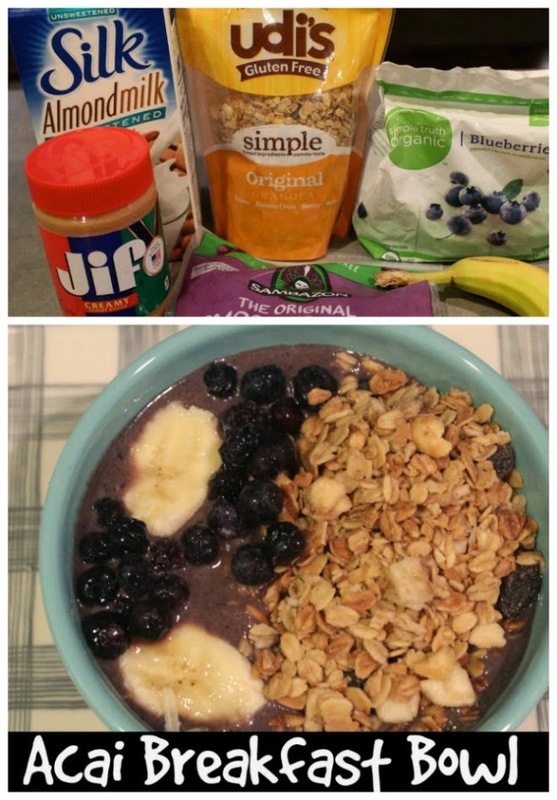 Top with sliced banana, your favorite granola, and any other fruit you'd like! See my latest recipe, Roasted Vegetable Quinoa Salad (healthy vegetarian option) here! 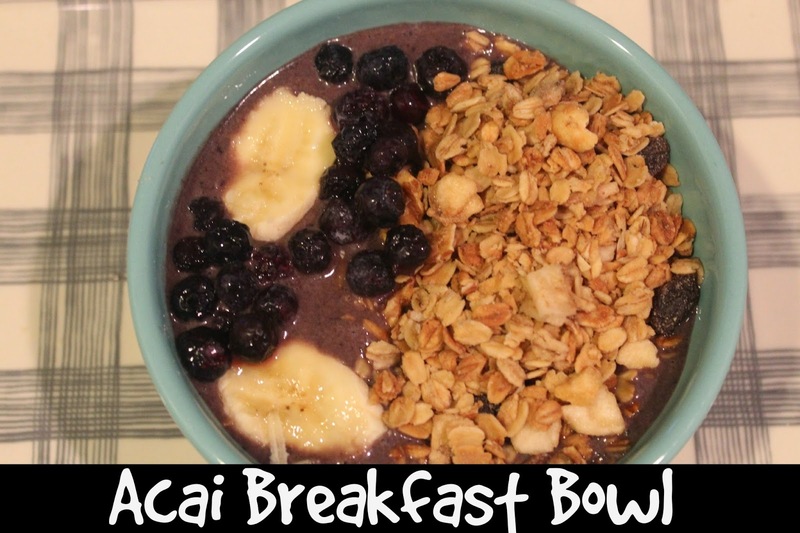 Have you made an acai bowl before and if so what are your favorite toppings? Katie - that looks so good!! Thanks for sharing the recipe. quick, easy, and healthy!!?? I'm in! So glad you shared this! I tried to make my own a couple of weeks ago but I don't think my smoothie packet was thawed enough. This is perfect for summer breakfasts! ooohhhhh this looks and sounds delicious. Looks like a trip to the grocery store is due!!! So it's a smoothie in a bowl? Sounds like what I put in my breakfast smoothies too! This looks so good! I can't wait to make this and your quinoa salad! Acai bowls are the best! You should try Amafruits Organic Acai if you get a chance. Amafruits doesn't aldulterate the taste of acai by adding soy additives to the ingredients. Also, their acai is much darker and thicker which indicates more acai fruits and fresher acai fruits were used in making the puree.